All back labels are numbered in order to limit the risk of counterfeiting. These codes are inscribed on our bottles when they are labelled. This first level of control via internet, which complements the other processes already in place, is available for all bottles of Château Mouton Rothschild after the 2004 vintage. Other means of control exist for vintages older than 2005 but are not available via internet. As of the 2009 vintage, in order to complete our security system, each code is uniquely associated with a graphic element. To access this first level of control, simply enter below the code printed on the back label. The information you will be given is for reference only and may not under any circumstances be taken as a guarantee of authenticity of the bottle in your possession. 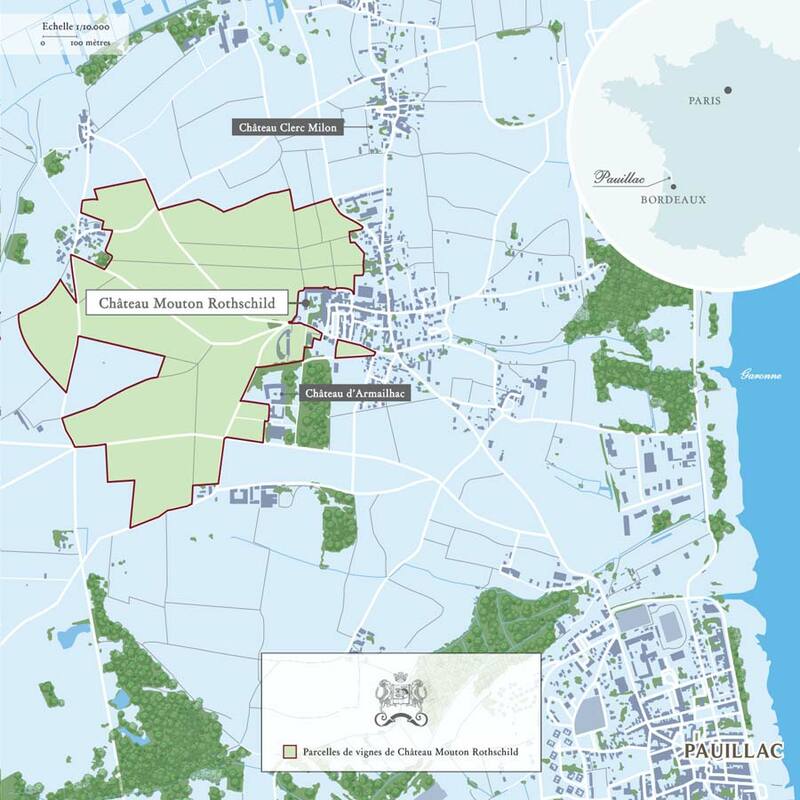 Château Mouton Rothschild may not be held liable for any use of information received for whatever purpose. The company is not liable for any use that might be made of the codes tested on this site for commercial, wrongful or promotional purposes. This information is non-contractual and for personal use only. 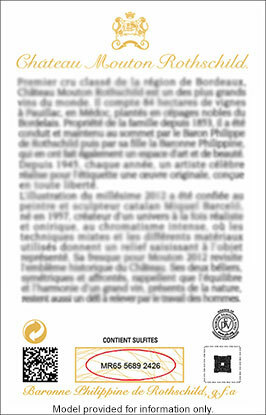 This site is not intended to certify the authenticity of bottles of Chateau Mouton Rothschild. No legal conclusions regarding identification of the bottle may be drawn from use of this first level of control.